Chris Maykut was born and raised in Seattle. 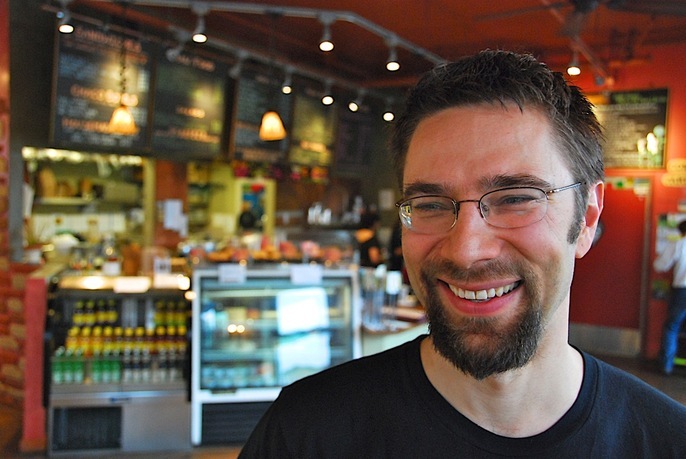 After a 10-year hiatus in the Bay Area to acquire and accounting degree and work in the dynamic San Francisco restaurant industry, he moved back to Seattle and founded the Chaco Canyon Organic Cafe in 2003. Chaco has grown from a single employee and tiny basement location to three locations and 82 employees, and is still immersed in its Quixotic quest to prove that sustainability and profitability are not mutually exclusive terms. Chris lives in Greenwood with his wife Samantha and two perfect children, Gus and Raina.